Neurosurgeons and pathologists at Michigan Medicine are the first to execute stimulated Raman histology, or SRH, a method that improves speed and diagnostic efficiency, in an operating room. They detail the advance in a new Nature Biomedical Engineering paper. Today’s workflow for determining a diagnosis during an operation requires the surgeon to wait 30 to 40 minutes while tissue is sent to a pathology lab for processing, sectioning, staining, mounting and interpretation. The entire team in the operating room may be idle while waiting for pathology results, Orringer says. Stimulated Raman scattering microscopy, the technology behind SRH, was developed in 2008, but the hazardous lasers involved made it unsuitable for use in an operating room. A clinical version now has been developed and tested in the operating room for more than a year at U-M, with the fiber-laser-based microscope mounted onto a clinical cart that plugs into the wall. 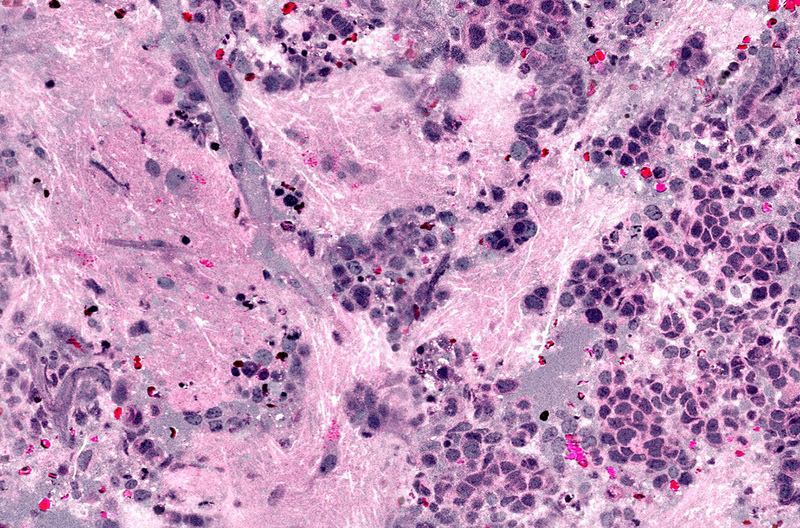 SRH uses virtual coloring to highlight the cellular and architectural features of brain tumors, with a result resembling traditional staining. The pathologist is then able to differentiate the tumor tissue from normal brain tissue as usual. SRH might also improve the workflow for facilities that don’t have access to expert neuropathologists. Orringer notes that smaller hospitals may be able to partner with larger systems that do have access, since there are fewer than 800 board-certified neuropathologists but about 1,400 U.S. institutions performing brain surgery.